I’ve been meaning to feature this new cookbook since before the holidays. Time has gotten away from me. Jerusalem by Yotam Ottolenghi and Sami Tamimi may be the best book of 2012. As with most of my cookbook purchases, I spent the first couple of days reading Jerusalem like a novel. Filled with the culinary history of the city, this book illustrates the melting pot of cuisines that make up the food of Jerusalem. 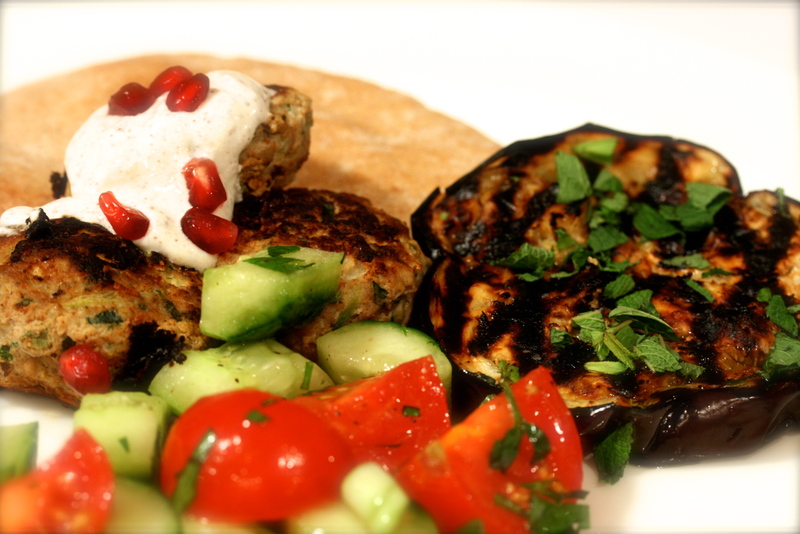 My appetite for eggplant and za’atar is more than satisfied with this collection of recipes. I made the Turkey & Zucchini burgers with green onion & cumin. Served with a sour cream sumac sauce and warm pita, these seemed more like kofta than burgers to me. A little grilled eggplant on the side, a few pomegranate seeds, and a refreshing Israeli chopped salad made for a delicious dinner. The basmati & wild rice with chickpeas, currants and herbs was another perfect side dish I loved from the book. The cumin seeds, curry power, sweet currants and fresh herbs are super flavorful. If you love hummus, falafel, lamb shawarma, challah, chocolate babbka… get this book! There are so many recipes using beans, grains and vegetables, I think this book will work well for vegetarians. Simply place all the ingredients in a bowl and toss together. I don’t know that you even need specific quantities of each ingredient to make this. You certainly can’t mess this one up. 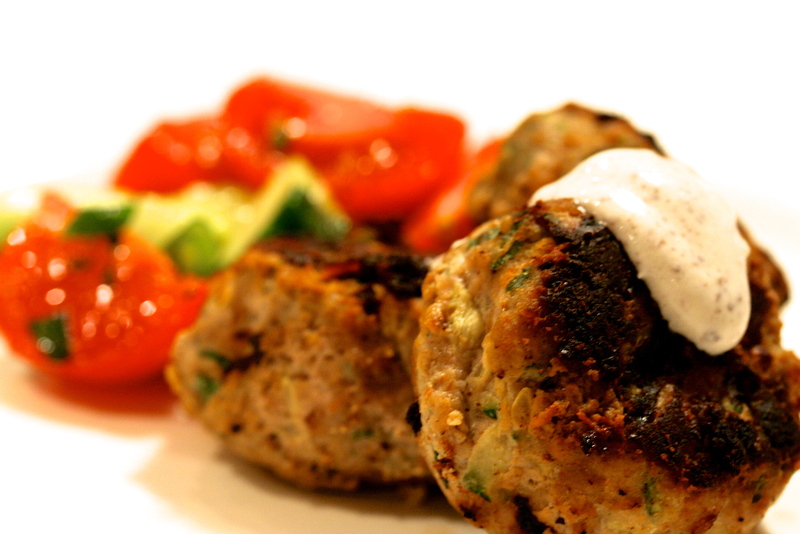 These little meatball-like, burger scrumptious kofta type treats are fantastic. I’ve made them a few times and always serve them with warm whole wheat pita and simple grilled eggplant slices. The combination of the spiced turkey meat with creamy sauce, smushed in a pita with the eggplant and chopped salad, is over-the-moon good. You’re probably not supposed to eat it all smashed together, but that’s how we do it here and it’s awesome. Combine all the ingredients in a bowl (except the oil). I use my hands because it’s the best way to make sure it’s properly combined. Make small patties. You should get about 15-18 mini burgers out of the recipe. Preheat a large frypan over medium-high heat. Add a little oil to the pan and sear the burgers in batches until they are golden and crispy on the outside, about 4-5 minutes total. Remove and place on a sheet pan. Repeat with the remaining batches of burgers, add additional oil as needed. When you’ve seared all the burgers, place the sheet pan in the oven for an additional few minutes, until they are perfectly cooked through. Serve warm with the sour cream sauce below. Mix everything together in a small bowl and serve with the turkey and zucchini burgers. 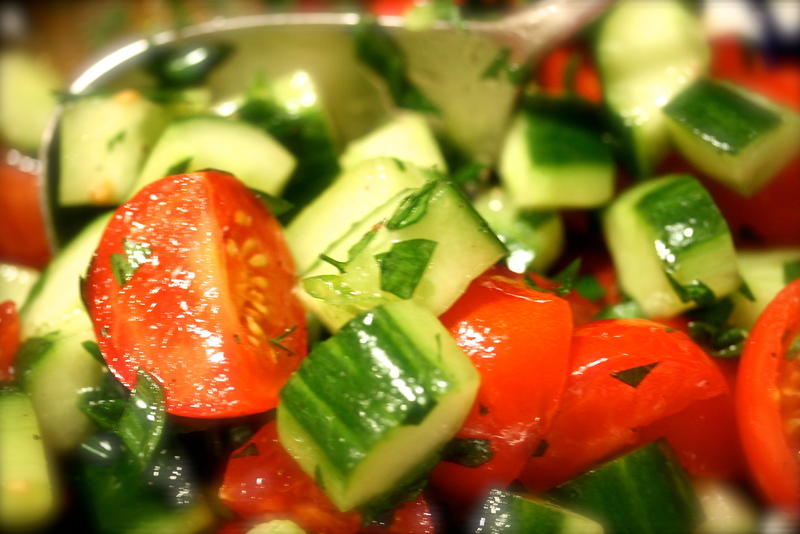 This is also a perfect sauce to serve on grilled vegetables or other grilled meats.